The Awards Committee is now soliciting nominations for our two awards – the Distinguished Alumnus Award and the Distinguished Service Award. We invite all members to provide nominations to the Awards Committee not later than June 2, 2019. Please consider your alumni friends and colleagues’ service and careers and nominate them for recognition. As a member, log into the Alumni Association website and use the Awards Nomination Form (click here) to provide your nomination. The Distinguished Alumnus Award is provided to recognize a graduate of the UNC NROTC program who has distinguished himself or herself in contributions to our Nation, the armed services, industry or business, the arts, philanthropy, or other social contributions. This is not a "distinguished member of the military" award, and the individuals need not have been career members of the armed forces. The board will consider the achievements of a non-military professional with an NROTC pedigree on equal footing with a career officer. Please see the website for a list of previous Distinguished Alumni (click here). 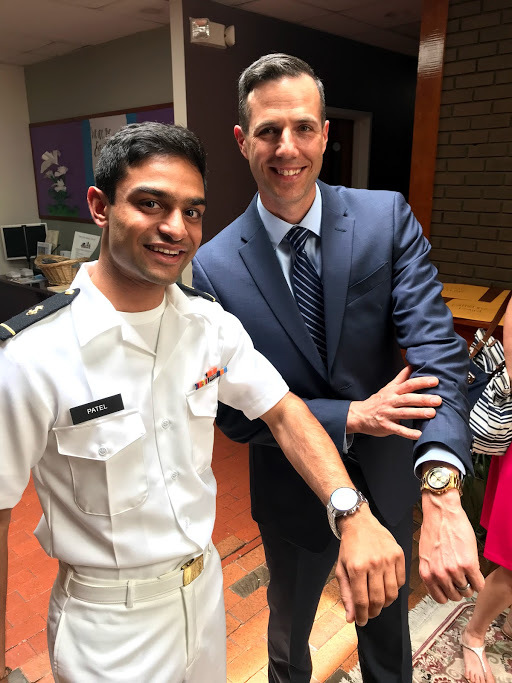 The Distinguished Service Award is provided to recognize the graduate (or former staff member), usually a Member of the Association who has distinguished himself or herself in contributions to the UNC NROTC Alumni Association. 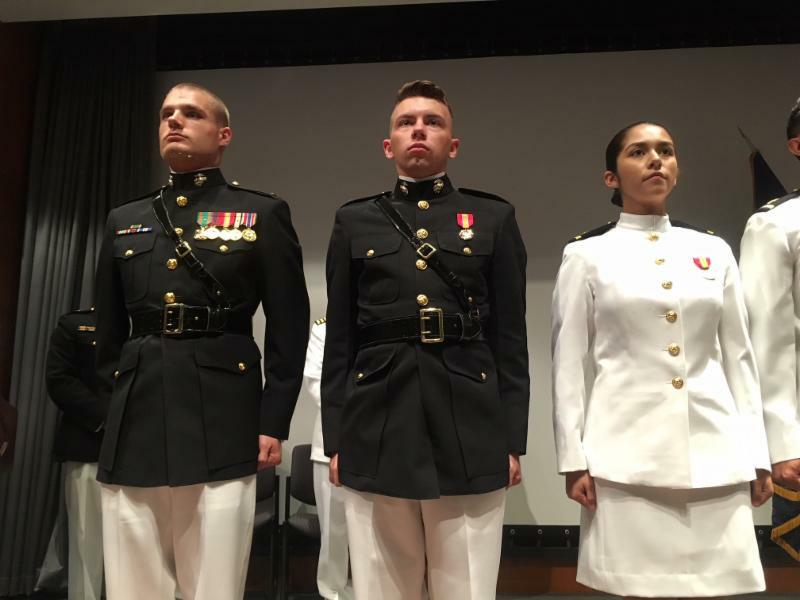 This criteria is intentionally nonspecific, and can include any manner of contributions to the efforts of the NROTC Alumni Association. Current Directors are ineligible for selection.﻿Please see the Association website for a list of previous Distinguished Service recipients (click here). The UNC NROTC Alumni Association has scheduled the Annual Meeting of the Membership, presentation of scholarship and awards and alumni reunion BBQ for Saturday, 2 November 2019 which coincides with the UNC v. Virginia football game and UNC Military Appreciation Day. A Friday night's President's reception is planned at the Pittsboro home of our Association President, Eric Schneider '86. The traditional reunion barbeque with the Midshipmen and staff is also planned aroung the scheduling of te football game. If you haven't already done so, it is time to join or renew your membership for 2019. Please become a paid member. We need you! 5 years of membership for the price of four! ﻿Click the green bar below to join renew or upgrade. Your dues contribution pays for our website, database software, financial management software and the Distinguished Alumnus /Alumna and Distinguished Service Awards; these funds enable us communicate with the graduates so we can host and organize alumni events to support our NROTC Unit and Midshipmen. The Scholarships, Dawson Library and Connor Awards are funded through non-dues contributions. Events (Annual Meeting & Reunions) are funded on a pay-as-you go basis by event participants. Thanks to the following alumni (in addition to our 187 living Life Members) who have made the commitment of ongoing support to our Association. Current paid members listed by both class year and alphabetically by last name here . Board of Director member Terry C. Cline, CPA, was elected Treasurer of the UNC NROTC Alumni Association on 9 March 2019 for the remainder of this term: 31 December 2019. Terry replaces James C. Collins who had to step away from the position as a result of work commitments. James remains a Director and has the thanks and grattitude of the Board for his service as Director and Treasurer. Board of Directors Meeting Minutes for 9 March 2019, the 2018 Financials and the 2019 Budget are expected to be posted to the website in April 2019. No new scuttlebut submitted - please help us make this section of the News Bulletin interesting. The next News Bulletin expected to publish on Sunday, 19 May 2019. Deadline for input is Friday, 17 May 2019. 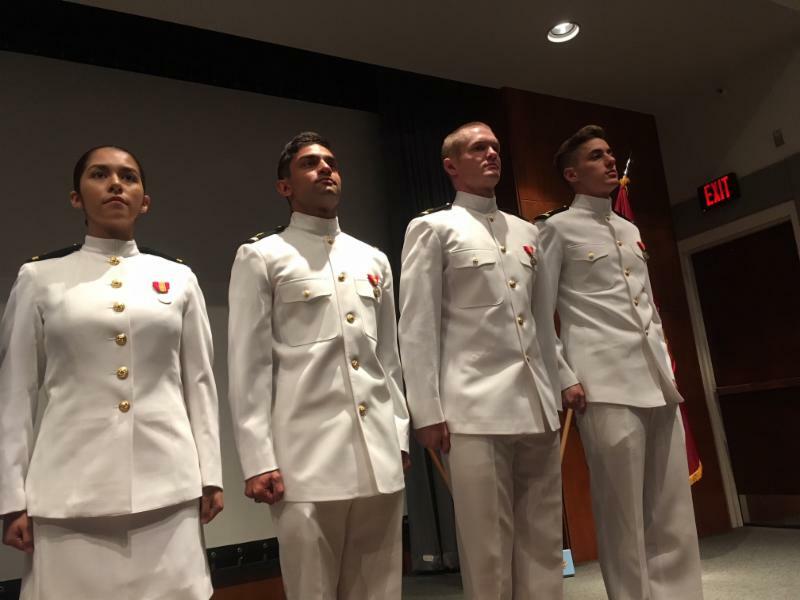 In a recent major database refresh from the University, the Association has updated its master database of NROTC alumni. In doing so we learned that 232 alumni have passed over the past ten years. 567 NROTC alumni are recorded as deceased out of over 2060 total recorded graduates. As a service to our members, we have created a new feature on the website available for paid members entitled Deceased Alumni . The feature may be found on the Alumni Service and Information Resource tabs of the website. Please notify the Secretary if you know of errors or additional alumni who should be listed here. If you know of a UNC NROTC Alumnus who has passed away, let us know so that this information may be reported in the News Bulletin under "Taps". Please send your announcements to secretary@uncnrotcaa.org .